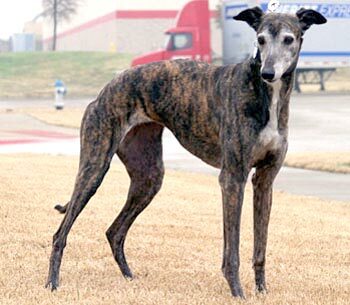 Baby is a beautiful, approximately 8½-year-old, dark brindle female. Baby was in the same home since she was a 10-month-old puppy, but because her family died, she is now with GALT's family. 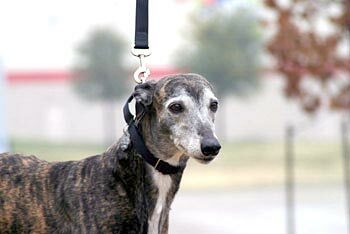 Baby never raced, and was not tattooed, as it was determined when she was a puppy that she had a defect within her vertebrae that would prevent her from a racing career. Baby is very sweet and loving and a very easy-going girl. It is not known at this time if Baby is small animal or cat tolerant.